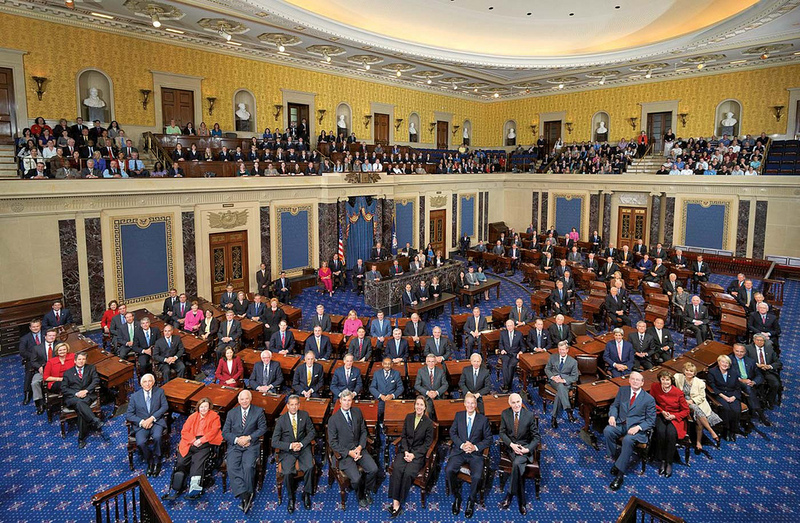 The United States Senate wheeled and dealed Friday night into Saturday morning, voting 51-49 in favor of the most sweeping piece of tax reform in over 30 years. When nonprofit leaders woke up Saturday morning, if they had in fact even gone to bed, few liked what they saw. The end result, from a charitable organization perspective, was much of the same as had been seen in recent weeks — a doubling of the standard deduction to $12,000 for individuals and $24,000 for couples, a doubling of the estate tax exemption to about $11 million for individuals and $22 million for couples, and the preservation of the Johnson Amendment — supported by much of the sector and repealed in the House bill — which prohibits 501(c)(3)s from engaging in partisan politics. Hadar Susskind, vice president of government relations for the Council on Foundations (CoF), described the hastened process in which the bill was finished and voted on as “unprecedented,” noting that Democratic leaders like Sen. Claire McCaskill (D-Mo.) had to get copies of the bill from lobbyists as opposed to Republican colleagues. The process, featuring hand-written margin notes, also made it difficult for advocacy organizations like CoF to understand who inserted or pulled out language from the original bill. Susskind said that he was surprised that many nonprofits were seemingly more focused on the addition of a universal charitable deduction than stopping or delaying the tax bill itself – crediting Independent Sector and the National Council of Nonprofits for seeking to pump the brakes on the bill. Ultimately, the universal deduction was not included. Sen. James Lankford (R-Okla.) introduced the Universal Charitable Giving Act, which would create a universal charitable deduction in addition to the standard deduction for those who do not itemize. The bill came at a time in which it was acknowledged that doubling the standard deduction would decrease the percentage of itemizers to about one-third of all filers to about 5 percent. There were rumors late last week that the universal deduction bill would be added to the Senate’s tax bill via amendment. With that not happening, a Capitol Hill source told The NonProfit Times on Monday that it was unclear where Lankford’s bill will go from here. Elsewhere in the nonprofit community, some subsectors saw bits of good and bad news in the Senate’s final bill. Rick Pollack, president and CEO of the American Hospital Association (AHA) said in a statement that he was pleased that the Senate did not eliminate tax-exempt private-activity bonds for nonprofit hospitals or medical-expense deductions for individuals with high medical costs. It instead lowers the medical-expense deduction threshold from 10 percent to 7.5 percent for the next two years. At the same time, Pollack voiced disappointment that the bill eliminates the Affordable Care Act’s individual mandate, which will result in lost health insurance for as many as 13 million people, according to multiple news outlets. Leadership at the American Council on Education (ACE) was pleased to see language taxing revenue from trademark and logo licensing removed from the bill, said Steven M. Bloom, director of government relations. It is common for colleges and universities to trademark names and logos as to prevent misuse by third parties. Larger, flagship schools are often able license their names and logos for a fee. ACE was opposed to the tax as it is many universities’ policy to dedicate trademark licensing revenue toward student financial aid, Bloom said. In addition to ACE and related educational institutions and advocacy groups, Sesame Workshop was also opposed to the tax, he said. ACE also saw some progress concerning a 1.4-percent annual tax on university endowment investment income. The House bill places the tax on universities possessing assets of $100,000 per student. The original Senate bill increased the threshold to $250,000 and input from Sen. Lamar Alexander (R-Tenn.) helped increase it to $500,000, Bloom said. The new threshold reduces the number of institutions likely to be impacted from about 60 to 30. Language proposed by Alexander to exempt endowment funds targeted toward educational purposes was not adopted. Overall, ACE leadership still opposes the tax. ACE leadership’s short-term goal is to prevent House language from seeping into the Senate bill during conferences. That includes a tax on tuition waivers for graduate students. At present, some graduate students — primarily in the research fields — receive a small stipend and waived tuition to complete their studies. If their stipend is $25,000 and tuition would otherwise be $50,000, students — under the proposed House language – would be taxed as if they were making $75,000, Bloom said, and may be forced to drop out and take on more debt. In 2012, 145,000 graduate students benefited from such aid, according to Bloom, with about 60 percent studying within the STEM fields. Thompson said that, while other organizations will be focused on the universal deduction, estate tax, and other elements of the tax bill in the coming days, all of the council’s energies will be toward ensuring that the Johnson Amendment remains intact through conferences between the House and Senate. “If we are politicized, we are no longer affective,” Thompson said. CoF will, too, be looking closely at the Johnson Amendment in the coming days, said Susskind. The House bill places a flat 1.4 percent excise tax on foundations that is expected to cost the sector $500 million annually. The Senate bill keeps the status quo, which places a 1-percent tax if foundations distribute a sum greater their average historical levels of distribution and 2 percent otherwise. Some foundation leaders like the consistency of a flat 1.4-percent tax, while leaders at foundations that consistently exceed historical distribution levels do not want to lose that extra 0.4 percent, he said. Susskind added that it is his understanding that a vote to send the tax bill to conference will take place tonight followed by two or so meetings between the Senate and House. A floor vote to finalize the bill is expected by the end of the week or early next week at the latest. “I think a week from now they’re probably voting on it,” said Susskind.